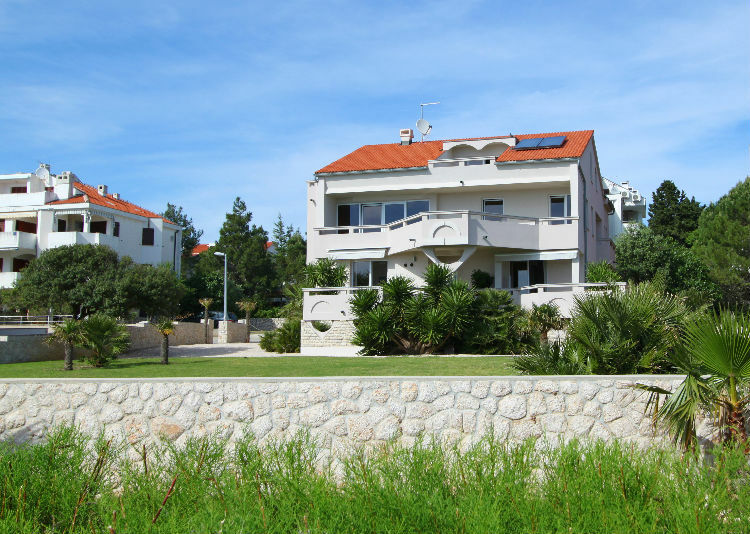 Apartments Pier are located along the sea, in the most beautiful part of Novalja (Gaj). In front of the facility is a spacious green area with several palm trees and a fantastic view of the sea. We have 3 apartments type 2 (for two people), that are comfortable and stylishly furnished which offer our guests a pleasurable stay in Novalja. N +44° 33' 43" | E +14° 52' 16"